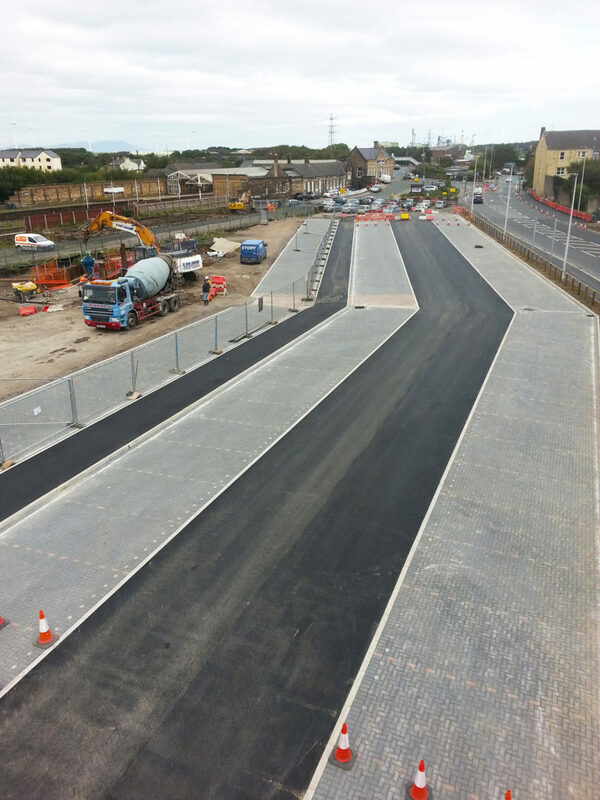 STORY Contracting is on track to complete work on a £3m infrastructure project in Workington. The firm is undertaking major works on behalf of Cumbria County Council on a new transport hub at the town’s railway station. Set to be complete in early spring, the project has already seen the newly developed car park open for Christmas, which provides 140 parking spaces and a covered biycycle stand. The works include new pedestrian zones, drop-off points and a bus terminal at the entrance to the station. A new road junction will also be created from the A597 with a right turning lane. The project is one of three transport schemes to be funded from a £7.8m pot of cash by Cumbria Local Enterprise Partnership’s Local Growth Fund. Other Cumbrian sub contractors involved include Lawsons, DSD Construction, EEC Electrical and GTM traffic management.